PITTSBURGH, Pennsylvania -- New York Jets cornerback Darrelle Revis turned himself in to police Friday evening after he was charged with four first-degree felonies and one misdemeanor. He's accused of being involved in a fight with two men last weekend in Pittsburgh. 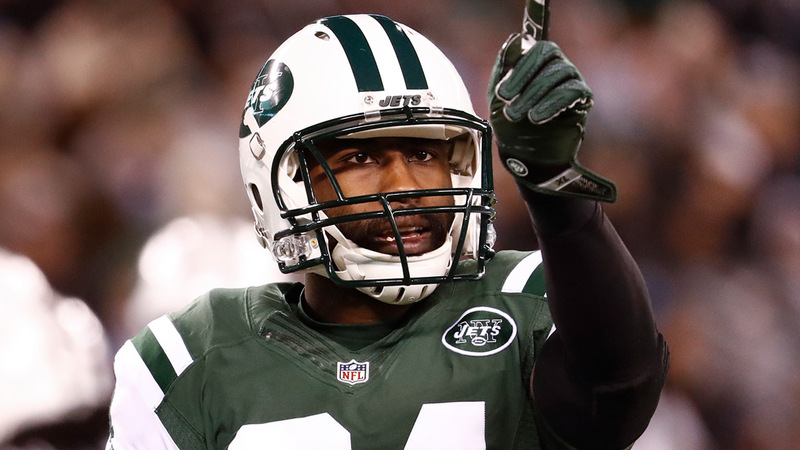 According to a docket sheet filed Thursday night, the 31-year-old Revis is facing two counts of aggravated assault, along with charges of robbery, conspiracy to commit aggravated assault and terroristic threats - a misdemeanor - after the incident Sunday at 2:43 a.m.
Revis' attorney, Blaine Jones, said in a statement while the charges were still pending that Revis was "physically assaulted while at that location by a group of at least five people." He added that the Jets cornerback "feared for his safety" and sought medical attention, but didn't offer details about the severity of Revis' injuries. "One of the other guys initiated physical contact," Jones said. "Darrelle was walking away. He was in fear for his life and fear for his safety." In his statement, Jones said that Revis, an Aliquippa native, was in the Pittsburgh area to visit family and friends last weekend. During the time of the incident, Jones said Revis "went by a location in the Southside that he is in the process of developing." That is when, according to Jones, Revis was assaulted. Revis was a star at the University of Pittsburgh and was drafted No. 14 overall by the Jets in 2007. He quickly established himself as one of the top players at his position - and in franchise history - while also earning the nickname, "Revis Island" for his penchant for routinely shutting down opposing teams' top receivers. His second tenure with New York, after stints with Tampa Bay and New England, might be over after two seasons. Revis is scheduled to make $15 million, including a $2 million roster bonus due on March 11, next season - but that would be a lofty salary for an aging player who admittedly had a subpar year that he attributed to age and injuries.